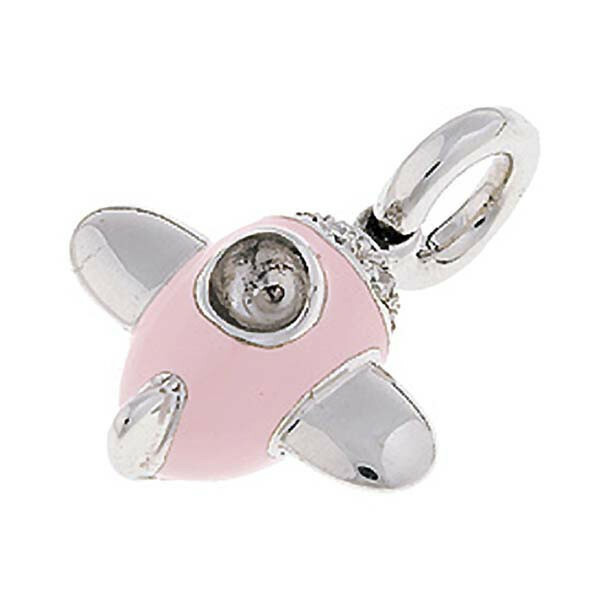 Any fun and flirty destination will do when you wear this Aaron Basha airplane charm. The 18kt white gold charm is given a fashion upgrade with a pink enamel finish while delightful white diamonds adorn the nose of this aircraft for a luxurious touch. Fasten your seatbelts! A ride on this Aaron Basha plane will definitely lift the senses!